Whether you’re just getting a new company off the ground or your business has been around for several years, taxes are just one of those unavoidable aspects of being your own boss. At Rue & Associates, we strive to keep as much of your money in your coffers, and not the government’s, as legally possible. Our world-class tax professionals don’t just work with you when it’s time to file tax forms: we can work with you year-round whether you’re a solo business owner working out of your garage or a partner in a fast-growing firm that has several employees. Our tax planning and projection services for your business mean that we can devise relevant, industry-specific and technically-innovative tax strategies to help you save as much money as possible. Tax savings are not just one-time events and tax planning is more than an annual meeting to help you stay compliant with both individual and business tax laws, but a year-round approach to your federal and Virginia taxes that ensures discrepancies are caught before problems arise and you can factor taxes into business decisions before it’s too late. No one wants to wind up with an excessively large tax bill that they may be unable to pay and face additional charges and penalties as a result of needing more time or having to go on a payment plan. Our experienced tax professionals can perform tax projections for your business taxes to estimate your tax liability based on current and projected profits so that your tax burden can be reasonably estimated well in advance of tax filing time. This service can be performed quarterly or just once a year depending on the size and nature of your business. 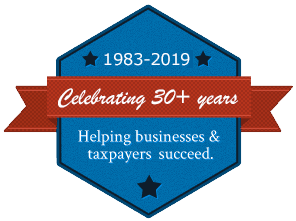 Depending on the industry that your business is in or if your personal situation affects your business taxes, you may need more comprehensive tax planning assistance year-round. Having business goals that go beyond your ordinary operations such as getting a new investor or relocating to a larger location may also require comprehensive tax planning. All of these situations plus changes in the tax environment would require updates to your original tax projections. Rue and Associates can certainly assist you with more comprehensive and hands-on tax planning if your business or industry is extremely volatile. Business decisions as well as life and business events can drastically change the direction your company was taking and subsequently, your tax projections and plans. We can advise you on the events that impact your taxes such as starting up or winding down operations, natural disasters, changes in ownership, sales of business property and starting a retirement plan for your employees. Rue and Associates’ world-class financial professionals have decades of experience in business taxation matters. We are happy to assist you with your tax preparation, business planning and accounting needs no matter your business size or industry. Our tax law experts stay up to date on the latest federal and Virginia business tax law changes so you can leave the tax matters to us while you focus on running and growing your company. You can call on us any time to see how the current and projected tax environment may affect your business decisions. Contact us to speak to one of our friendly and professional tax law experts!